Unusual and Fun to Grow! These epiphytes usually grow on the trunks of rainforest trees, their roots absorbing water and nutrients from the forest above. They trap debris in the shield (sterile frond) that forms the back, and the "staghorns", or fertile fronds produce the spores with which they reproduce. We carry Platycerium alcicorne which is native to the forests of eastern Africa. They are real conversation pieces! 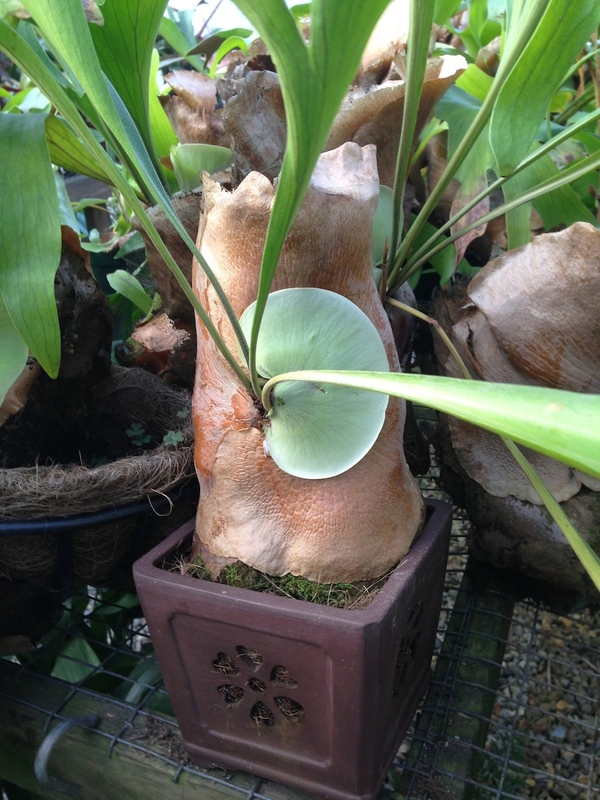 We also have a few Platycerium bifurcatum, Platycerium elephatotis and Platycerium superbum plants.